All hail Bayern Munich’s free-scoring centurion Robert Lewandowski! The Polish phenomenon lit up his 100th Bundesliga appearance for the club with two more peaches against Mainz to bring up his 81st and 82nd goals in that time – eclipsing Rudi Völler’s record of 73 goals in the same number of games for a club in the German top flight. Lewandowski, who previously turned out for Borussia Dortmund, has now scored a total of 156 goals in the Bundesliga, making him the top-scoring player still active in the division following Claudio Pizarro’s retirement at the beginning of the season. Thomas Müller and Arjen Robben were also on target as Bayern bounced back from defeat at Hoffenheim last weekend with a 4-0 victory against Sandro Schwarz’s visitors. However, the day belonged to Lewangoalski, whose record against Mainz now reads played 14, scored 13. 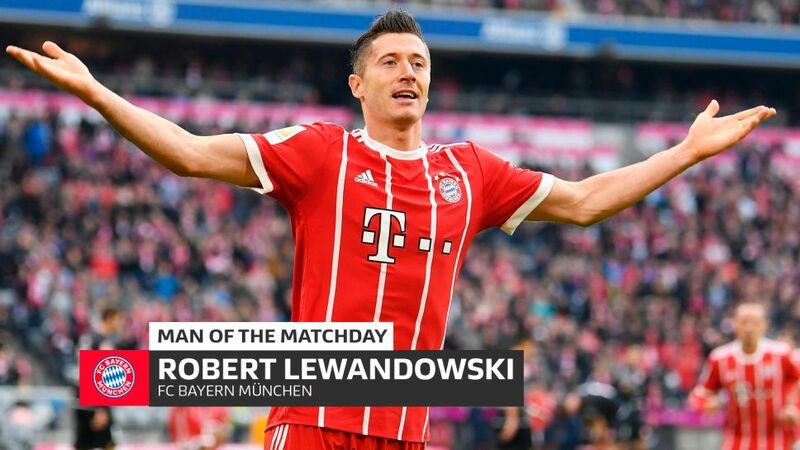 A fifth career brace against Mainz [he has also managed five doubles against Augsburg and Freiburg], meanwhile, means Lewandowski has netted two in a game on 43 occasions in his eight seasons in the Bundesliga, taking him to fifth overall on that particular list. "We had a lot of room in which to manoeuvre and were very flexible going forward, which was really fun to play in,” the 29-year-old beamed after the Bavarians kicked off Oktoberfest celebrations in style on Matchday 4 of the Bundesliga. “We were not static and created a lot of chances, which was why we won today. We controlled the match from the first minute and scored four goals. Everything we had planned worked out,” Lewy added, after scoring his side’s third and fourth goals of the day. Indeed, it shouldn’t take long for another Bundesliga living legend, Wolfsburg striker Mario Gomez, to work out that he has been overtaken as the top-scoring active player in the division. Lewandowski now heads that prestigious list with 156 goals to Gomez’s 154. “When we play with the flexibility we did today, any team would struggle to keep up with us," Bayern’s in-form marksman said after his 100th Bundesliga game for the club. The question is, can anyone keep up with Lewandowski when he's in form like this? Here’s to another 100 games for FCB, big man.